Since temperatures last week were in the 30’s-40’s with rain most days, Ramen Week in Paris was the perfect way to warm spirits and stomachs. Maceo was one of several restaurants participating, but it was the place to go if you wanted to see a demonstration by one of the chefs. Kazuyuki Takei (as far as I know no relation to George Takei) was the Master Ramen maker the day I went. You could watch before or after your meal as he demonstrated his techniques on the second floor as a translator explained his process (in French). Over the week-end, classes were given for children who want to become ramen masters. He literally beat the dough to make the wavy noodles and had been working all week to make the noodles for the ramen served on his day at Maceo. Like many artisans, he inherited the profession from his father and started working with ramen when he was 19. The style of the day was Ramen Shirakawa, with a slice of char siu (roast pork), spinach, bamboo shoots, seaweed, soft boiled egg and green onions in a shoyu broth. This was the best ramen I’ve ever eaten. At 10€ (about $13) per bowl, this was a bargain for the quality of the ingredients. Beer, sake, and sodas were available, but this bowl was too good to require any additional liquid. 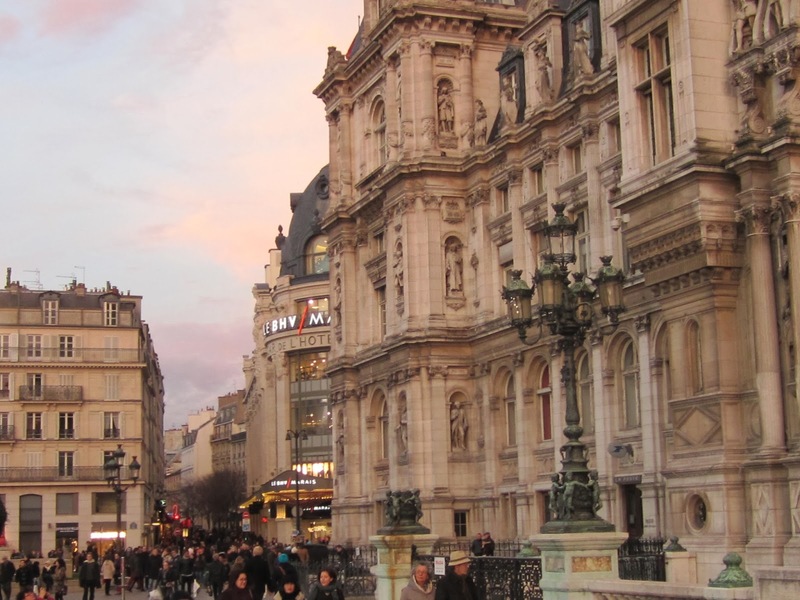 I walked over to the Galeries Lafayette afterwards to check out the terrace and the view of Paris on the one afternoon it didn’t rain this week. 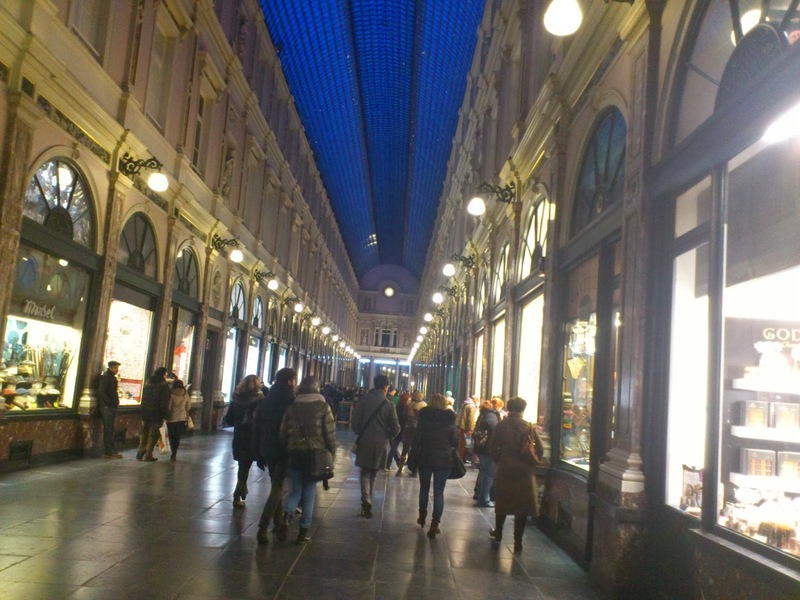 Walking through the maze of covered passageways in Brussels there are a myriad of treasures to covet, whether it’s a crocodile handbag for over 14,000€ (about $20,000), to more affordable treats which might tempt you with sweetness. Speculos are cookies that have been made for over 100 years and Maison Dandoy has molds from the tiny to huge if you want to make your own. If you’d rather leave it to professionals, they sell a variety of sizes, flavors and shapes. They use only natural ingredients and a recipe that’s 180 years old, so if you want to taste the authentic version instead of the industrialized supermarket one, try them here. My friend who introduced me to Pierre Marcolini’s chocolates said her new favorite is Chocolatier Elisabeth, so I went in and got some to taste test. A small assortment is only 9,40€, or about $15. Meert is famous for their waffle cookies made with all natural ingredients like vanilla from Madagascar, but their chocolates are also wonderful. My favorite was the honey and dark chocolate which tasted like a caramel infusion without being overly sweet. 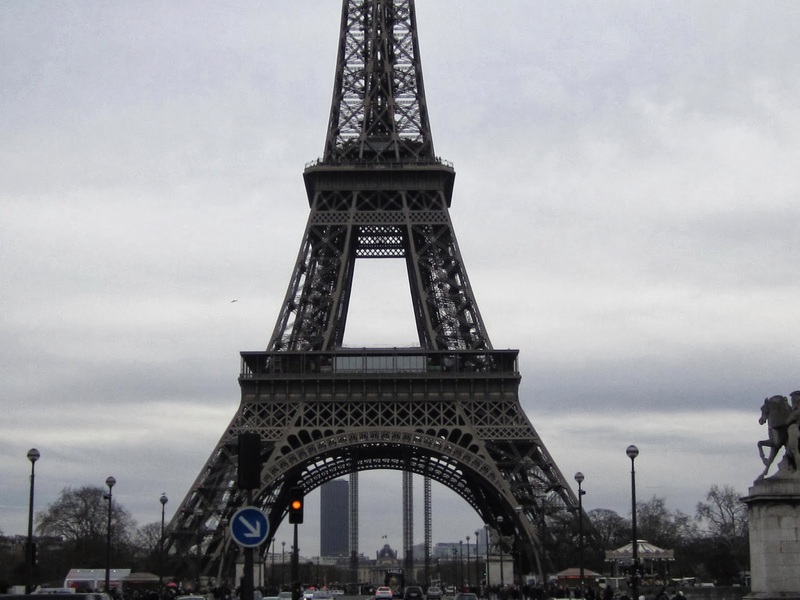 You can taste their specialties in France, at one of their international locations, some of which have tea rooms which serve brunch. 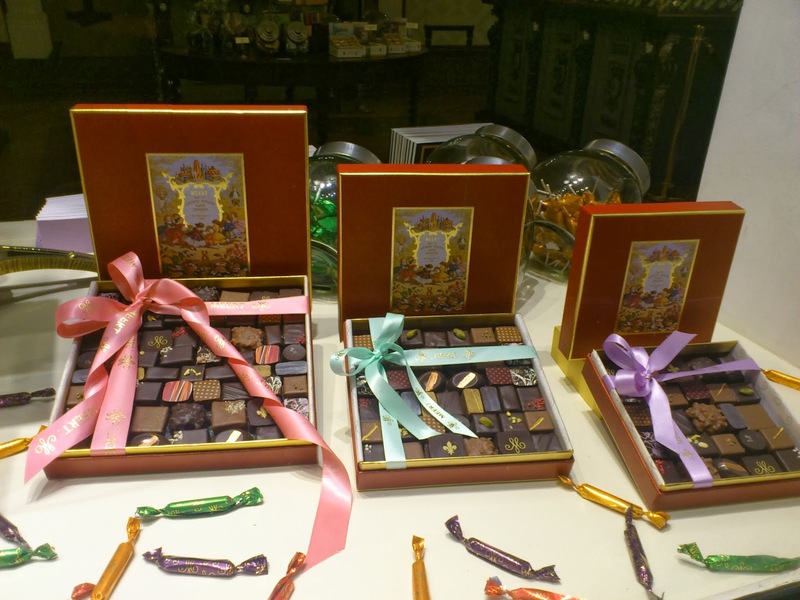 One of my favorite chocolatiers is Pierre Marcolini who started in Belgium but now has several locations in France. France may be known as a culinary capital, but buying kitchen supplies here can be so expensive that you may need to choose whether to invest in your retirement or your kitchen. 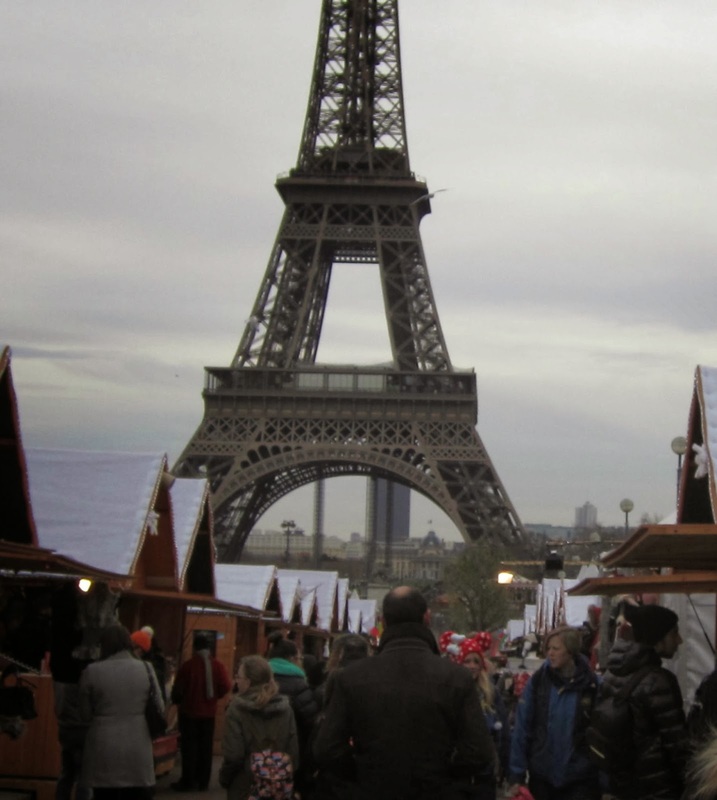 Luckily I came here well equipped, but if I hadn’t, I would have tried to brave the crowds and crowded space of E. Dehillerin in Paris (I’m shuddering at the thought as I write this). I would gladly travel to Dille and Kamille in Brussels to stock up on everything kitchen, garden, and housewares wise and carry it all back on the train with me to Paris. 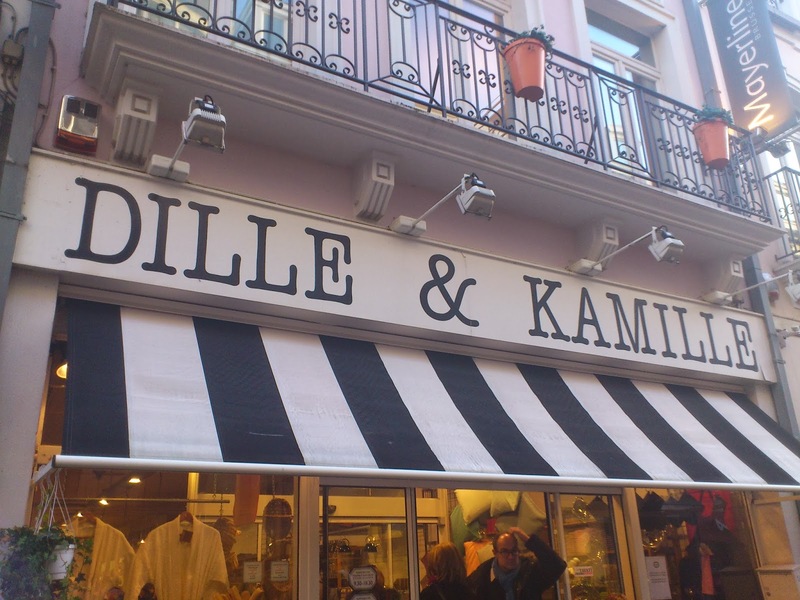 Dille &amp; Kamille is a store which originated in the Netherlands and it’s a haven (or heaven) for anyone seeking any kitchen tool or accessory, garden supplies, spices, or herbal infusions for refreshingly low prices. It’s like a Crate &amp; Barrel in the US, but with European products. When I say they have everything, they really do, including a truffle mandoline for 14,95€ (about $20). There’s a small tea bar in the back so you can sample the infusions they offer before buying some to take home, and their prices are amazingly low for Europe. 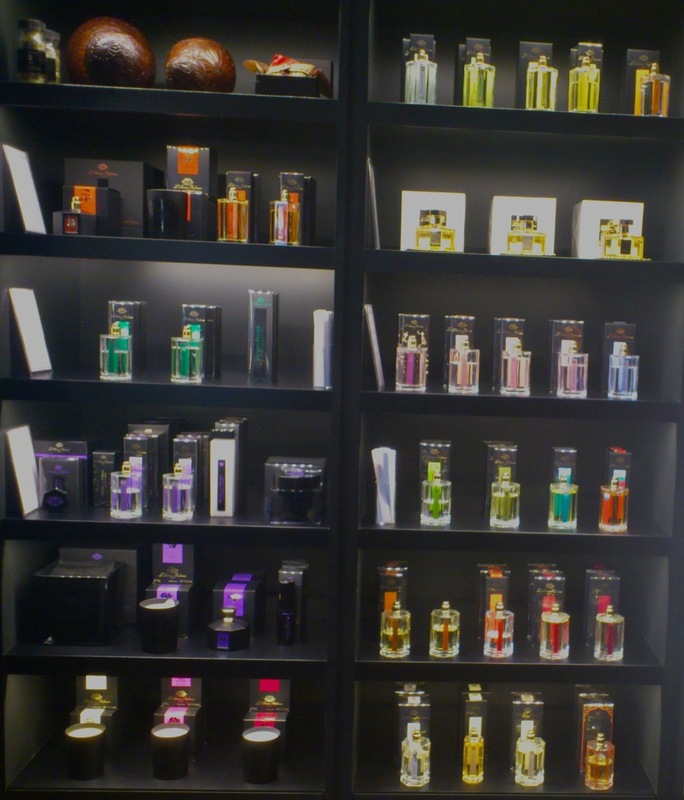 A few blocks away there is a perfume shop which features high end and unique fragrances, candles, and infusers called Senteurs d’Ailleurs. It’s like entering a jewelbox with prices to match for candles that go to over 400€. It’s a treat for the senses, and if you want something unique, they will blend you a fragance or you can choose one that you won’t find in a regular shop. Brussels is an ancient city and many of the former homes have been converted into shops. The former main residence (mansion) may be a shop or restaurant today with a long alley to the back where smaller offices or shops reside. The long corridors linking the front and back were once carriage passages, and the gardens surrounded by thick walls offer a quiet refuge from the street noise. Some of the old accessories remain as part of the store entrances, like these chandeliers at the entrance to Abercrombie and Fitch. After shopping all day, we headed towards the Grand Place and on the way walked past what was once a high end store called Old England. It’s now a music museum which has a tea salon on the top floor! One of the most famous bars in Brussels is also a marionette museum called Toone. The alleys leading into and away from it were slightly creepy. Inside, ancient marionettes were on display and they have shows with them for entertainment. Toone was not scary at all compared to La Cercueil, which as the name suggests has a coffin theme. Yes, your tables are atop actual coffins and the decor is very death oriented with skeletons. 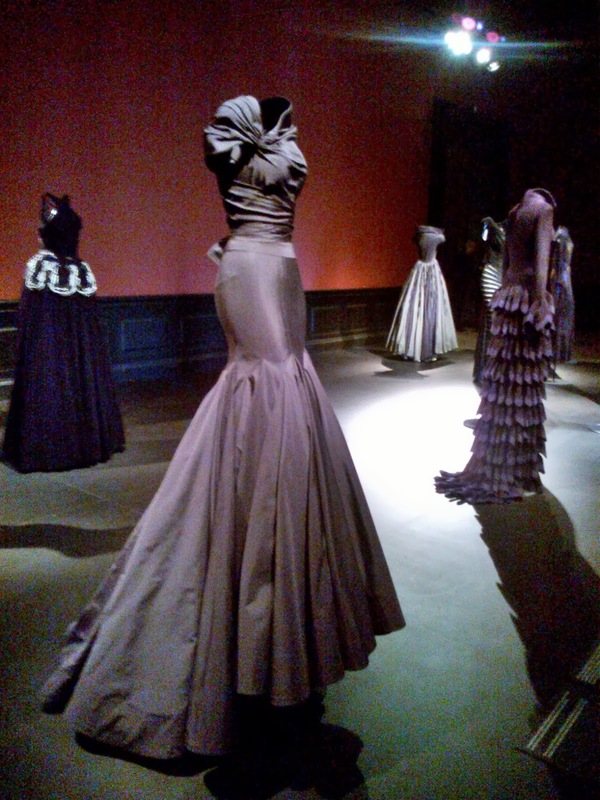 We went only because it was one of the must see places, but it was not at all my style and we did not stay more than the time it took to enter and turn around to leave. giving a warm glow to the streets around the Grand Place. There are several covered passages leading to the Grand Place and they were all lined with shops selling everything from chocolates to books. Upon entering the Grand Place we went to one of the oldest brasseries, and got a seat on the 2nd floor with this view below. The best resources for great places to eat, drink, and visit are the locals. 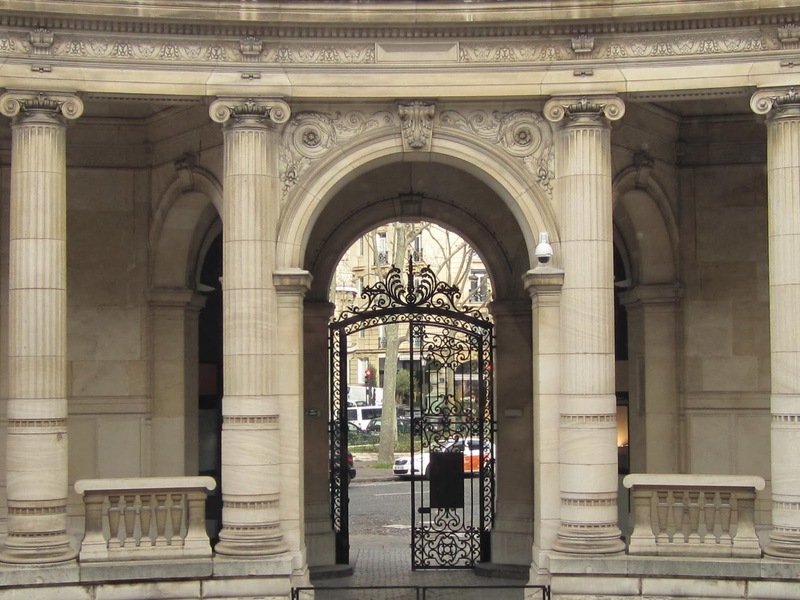 Luckily two of my friends have lived in Brussels for decades, so they had no problem suggesting a great place for brunch after our visit to Villa Empain yesterday. 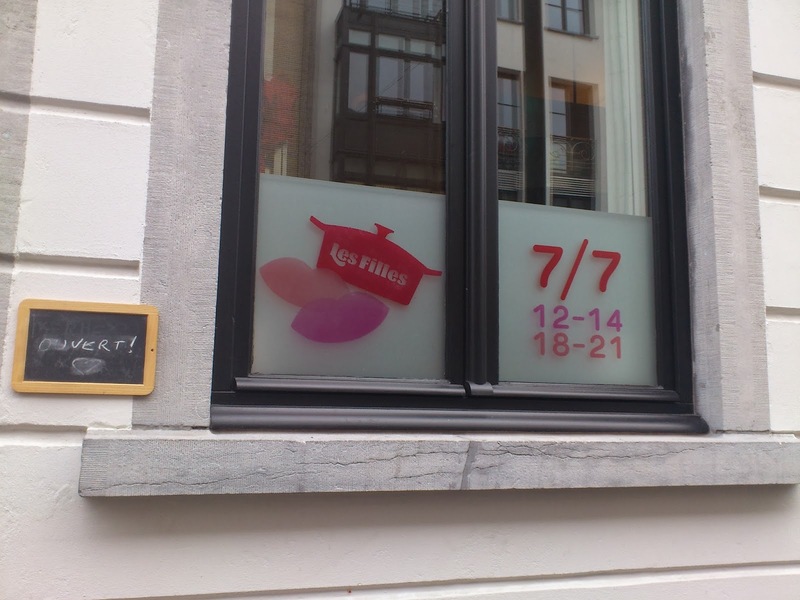 Downtown Brussels is a bit like downtown Los Angeles; it’s being revived as a neighborhood that people want to live in and go out in with gentrified buildings that have become live and work lofts, stores which feature avant garde designers, and restaurants that draw people from all over the city. Les Filles started with a micro loan that seeded three women to start their own épicerie, restaurant, and cooking school, now in two locations. This is one of the few restaurants open seven days a week for both lunch and dinner. Serving fresh local produce in a relaxed communal atmosphere for very reasonable prices, they do not take reservations and the wait for brunch can be 30 minutes or more (in Brussels this is considered an extremely long wait)! We went to the newer and larger second location, which looks like an office building or private residence from the outside, except for the signage in the window. They have the grocery store on the 2nd floor, the restaurant on the 3rd, and the cooking classes are held on the 4th floor. Since there’s usually a wait for a table, people sit on the stairs in order of arrival to wait for a space at one of the communal tables. It’s self serve buffet style, with dishes that change every half hour. 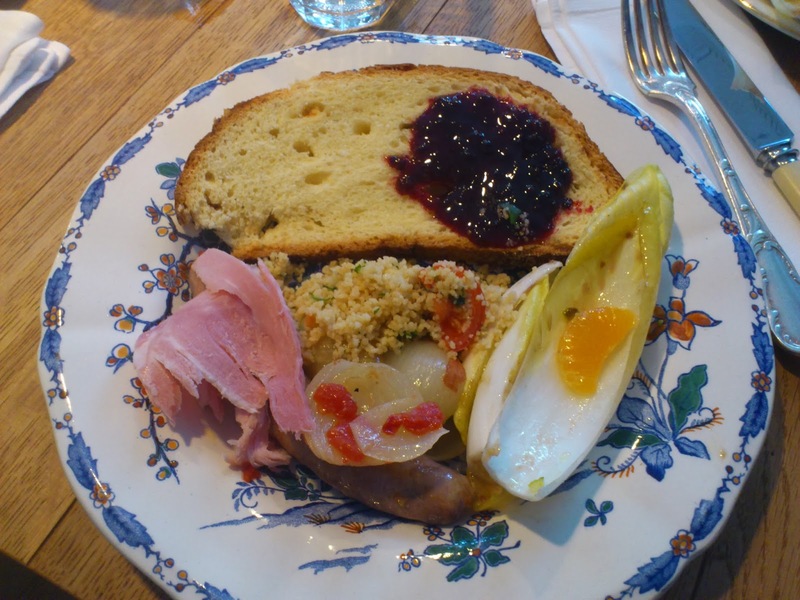 For brunch there was an assortment of five breads, including brioche, nut, sweet egg, and whole wheat, to croissants. Three types of jams, three types of butters, a pumpkin turnip soup, a mandarin orange endive salad, a sausage and onion casserole, a parsley oil tzatziki, tabbouleh, an assortment of cheese and fruit, soft boiled eggs, fresh ham, and for dessert a chocolate fondant with spiced whipped cream on the side. The olive oil on the table was so good I ate three slices of bread just to have more, and I ended up buying a liter of it at the grocery store downstairs to take home for 17.70€ (about $25 for 1 quart). Your meal costs 15€ (about $20) per person, and you can get juices, coffees, wine or sparkling water in addition, but I would have chosen to drink the olive oil! 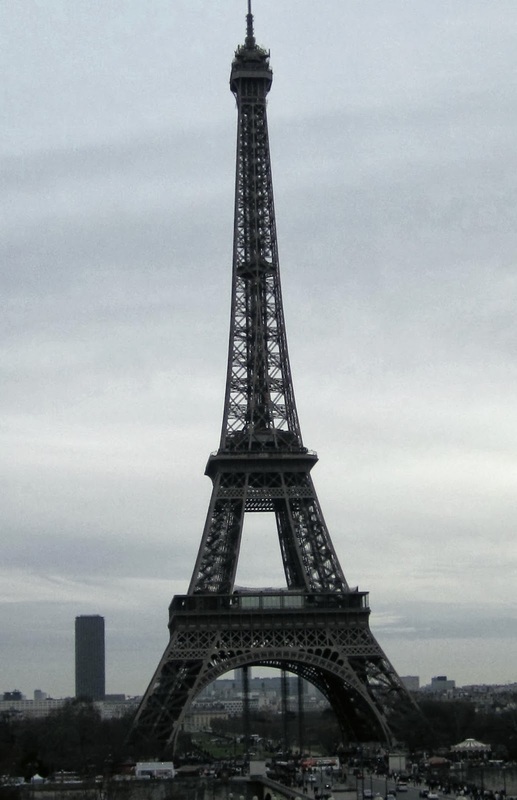 One of the pleasures of living in Paris is that it is centrally located in Europe and a major hub for other cities. Going away for a day in London or Brussels is like driving from LA to San Diego, but without the requirement of either car or driving. I have friends who live in Brussels so I went for the week-end on the Thalys. For 25€ (about $35) each way and a little over an hour, not only can you experience another city, but another country! The new IDBus does the same trip for only 9€ (about $12) each way, so I may try that next time since I was seated in the “wrong” direction on the train and got slightly “train sick” (half of all seats face opposite directions since trains don’t turn around at the terminus). We didn’t make any set plans on what to do other than eat 🙂 but on the train my friend bought a magazine which talked about an exhibit at the Villa Empain and it turned out that both my friends in Brussels wanted to go, so we set out early to what used to be the building housing the German and Russian Embassies. It was abandoned and squatters lived it it for years until it was renovated into a center for art and dialogue between the cultures of the East and West. The architecture is art deco and has been restored beautifully. Entrance to the exhibit was 10€, with discounts for seniors and free for children under 12. You can walk around the grounds and enjoy the sculptures which dot the grounds. Unless you are part of a private tour you can only visit the pool area with your eyes. 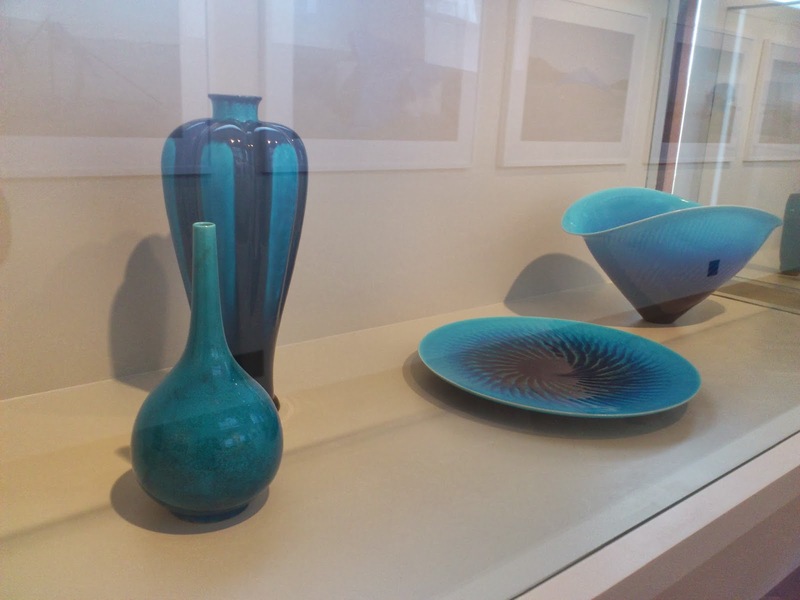 The building has two floors of exhibit space and the basement has a few pieces, along with a tea salon which serves snacks and champagne. 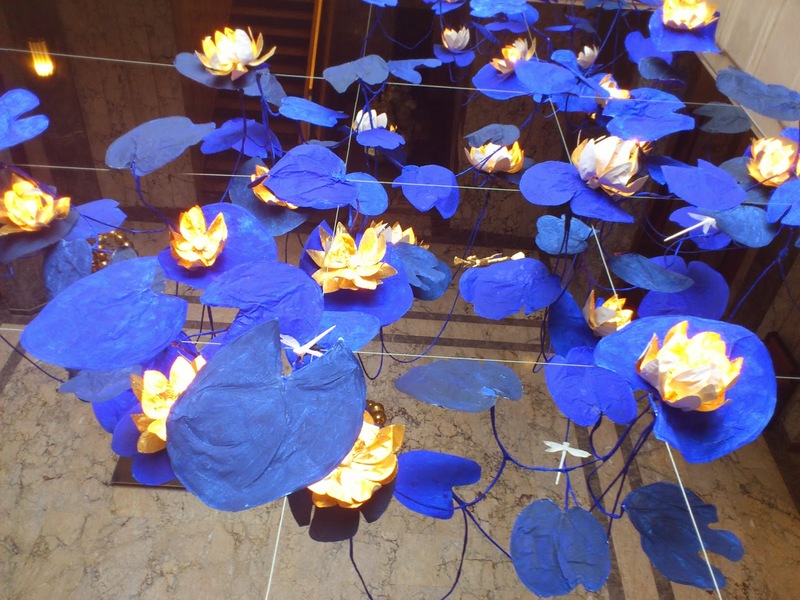 These water lily lights filled the atrium between the first and second floors. The most stunning piece was a tapestry made of individually knotted candy wrappers which took up an entire wall of about 20 feet. There was a video of the artist creating the work and I can only imagine the patience she had. There was a wide variety of artwork from textural tapestries, to clothing, jewelry, photographs, painting, and mosaics. We were all hungry afterwards so we headed to brunch (tomorrow’s post)! 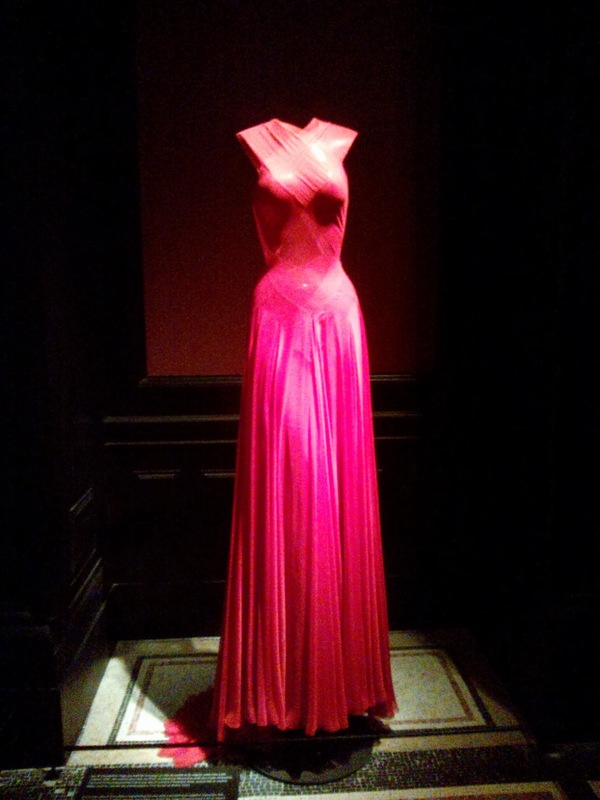 During Fashion Week, I saw so many tall, thin, young people with beautiful bone structure, that I felt as if I was walking through the pages of Vogue as I walked the streets of Paris. 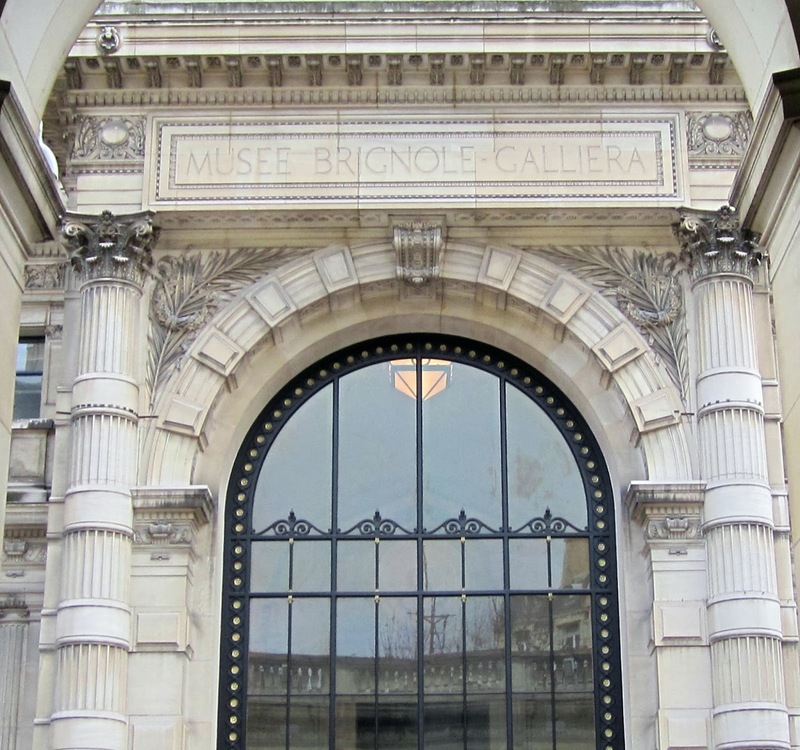 Since this is a fashion mecca, there is a fashion museum called the Palais Galliera. The entrance is as beautiful as the clothes inside. 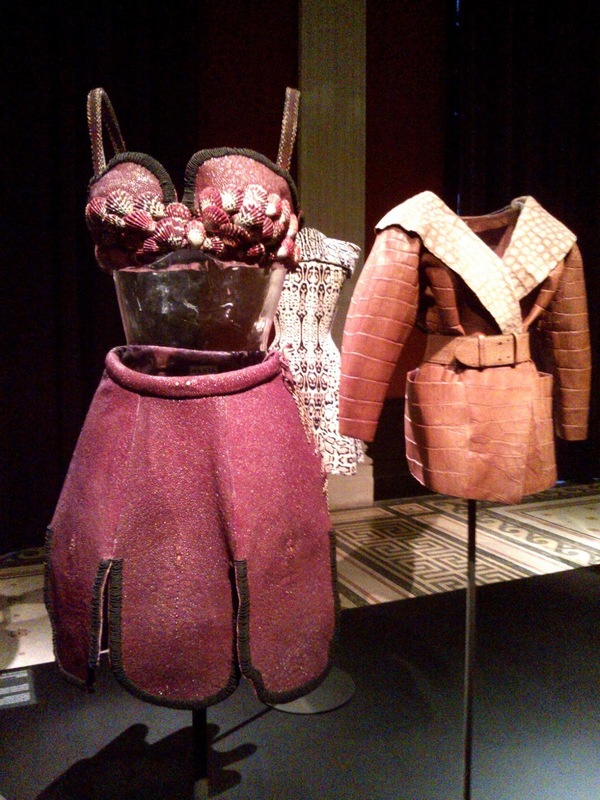 The expositions are all temporary and Azzedine Alaïa is featured until January 26, 1014. If you’re not a fashionista, you would still recognize his clothes since he has dressed rock stars like Tina Turner, Madonna, and Grace Jones. 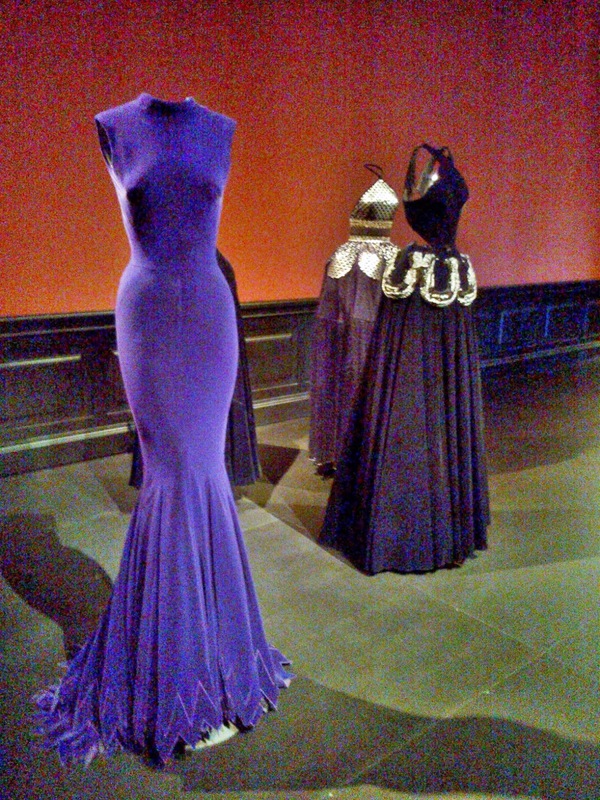 There are no barriers between the clothes and the public, so as tempted as you may be to touch the pieces, do not! Even photographs are not allowed (so that they can sell you postcards in the gift shop), but a friend snapped these before security intervened. 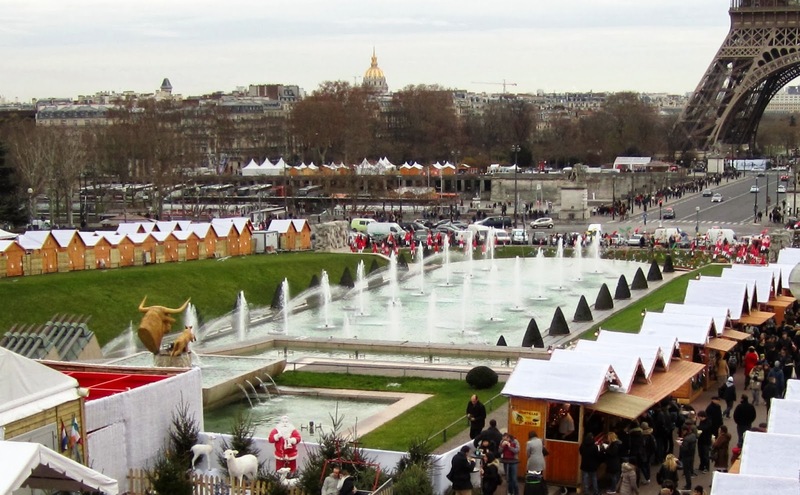 Just a few blocks away the Village de Noël at Trocadero and the Quai Branly offered a smaller more intimate version of the Village de Noël on the Champs-Elysees. 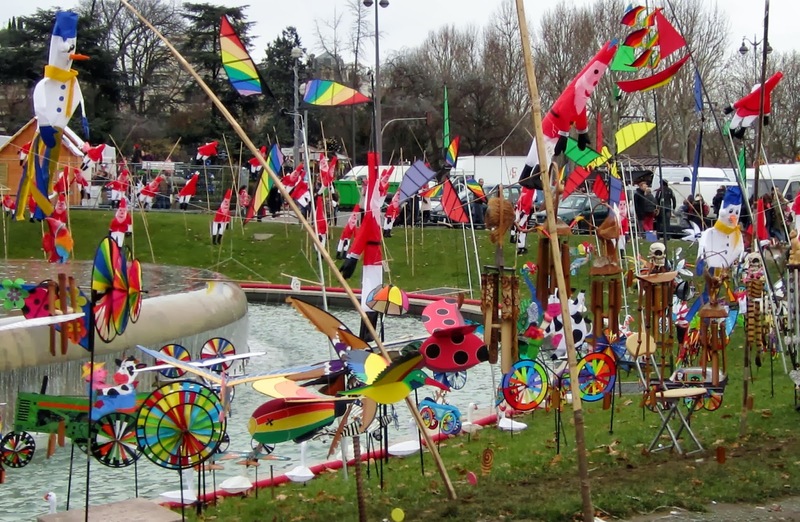 Colorful kites and small Alpine themed shops lined the fountains. There was even a small ice skating rink and Santa greeting the children. here is the unique view. to the largest ice skating rink in Paris, set up at the Hôtel de Ville (or city hall). Admission is free if you bring your own skates, or you can rent them for $6. Most people came to watch the skaters, and for the comfort and safety of all concerned, that’s what I did too! The light here really is pink.